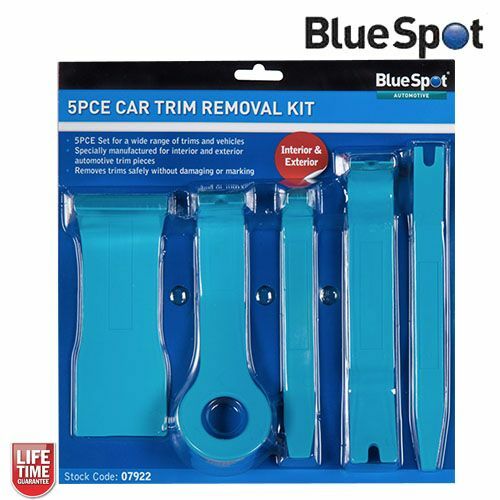 Superb quality 5pc trim removal remover kit from Blue Spot Tools. 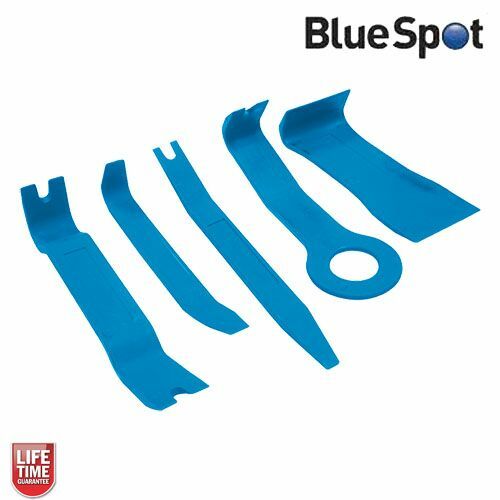 This 5pc set has been specifically designed and manufactured for the removal of both exterior and interior automotive trim pieces, making is easy and safe. The set includes: pull type, wide type, narrow type, upholstery clip remover and a general handy remover. Made from Polypropylene, allowing the plastic to flex appropriately and reducing surface damage compared to conventional metal extraction equipment or screwdrivers. To initiate your Blue Spot Tools lifetime guarantee please complete the form on their website to register your product within 30 days of purchase. In the unlikely event that a fault occurs with the product after 30 days you can submit a guarantee claim form and Blue Spot will personally be in touch to deal with your claim - buyer confidence. Simple to use, did the job I wanted easily.